Check out the spread of desserts at the GooglePlex the other day. 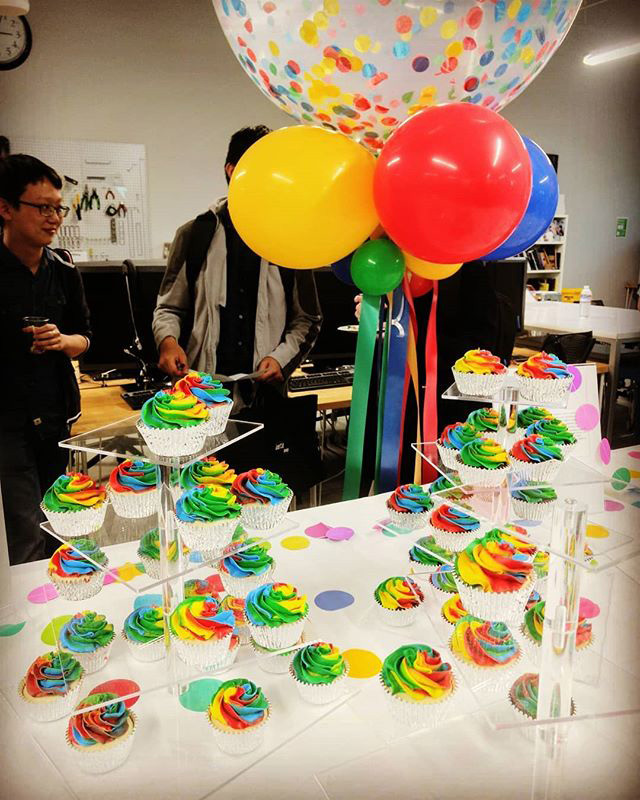 You see all these Google colors and balloons, rainbow cupcakes, and more. I am not sure if this was for someone's birthday, a product launch or something else. But it was posted on Instagram.